Have Attendees Discover Your Company at iLandscape! An iLandscape Show sponsorship will position your company as an industry leader. This year, iLandscape will once again be in the main convention hall and the ballroom. 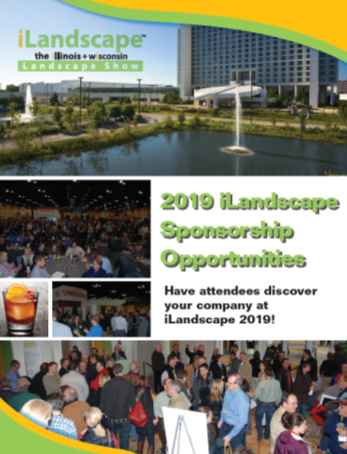 Become an iLandscape Show Sponsor to make sure your company is seen all throughout the show! View the sponsorship guide to explore all of the opportunities. Please Note: iLandscape Show sponsorships are open to Exhibitors and Wait List companies only. 2020 sponsorship opportunities coming soon!